We went the beach nearby on a spur of the moment. The husband came home a bit earlier than usual yesterday. He wanted to go to test something he's experimenting on and the little one was just too happy to tag along...so tag along we did. 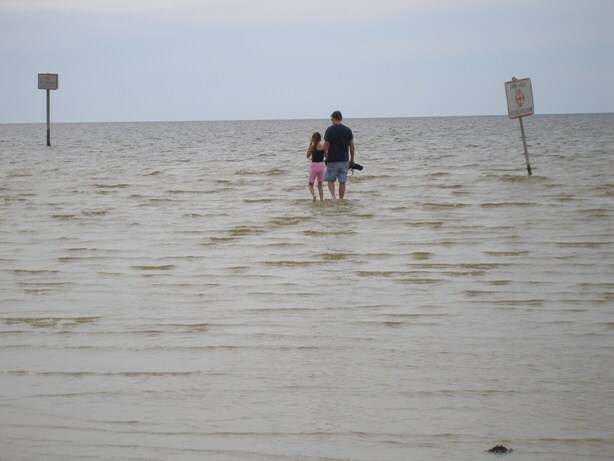 Since it wasn't a 'swimming trip', we just stayed on the shore. 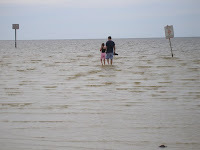 It was low tide so beach goers were able to walk on ankle deep water like my father & daughter tandem. mas maganda talaga pag yung mga biglaan j! you'll never know what will come up... wishing you a blessed week ahead friend! ciao!